Writing stories is my passion. I don’t just do it for my job: it’s also what I do to relax! So I wanted to share that passion with some of the children who have enjoyed reading about Isadora Moon’s adventures. Having a go at writing your own stories is a great next step once you discover an enjoyment of reading. Hopefully, then, the step-by-step writing guide I have put together will be a useful resource to help children (or even grown-ups!) create their own magical worlds. Children have incredible imaginations. They often don’t need any help in coming up with brilliant new ideas for characters and plots. Where they can struggle is in developing those ideas into complete, cohesive stories. What I’ve tried to do with this guide is to think about how I went about creating Isadora Moon and all her different adventures. I’ve then taken that process and broken it down into simple stages with activities and suggestions to help you bring your own creations to life. To demonstrate each stage, I’ve also used examples from the Isadora Moon books. 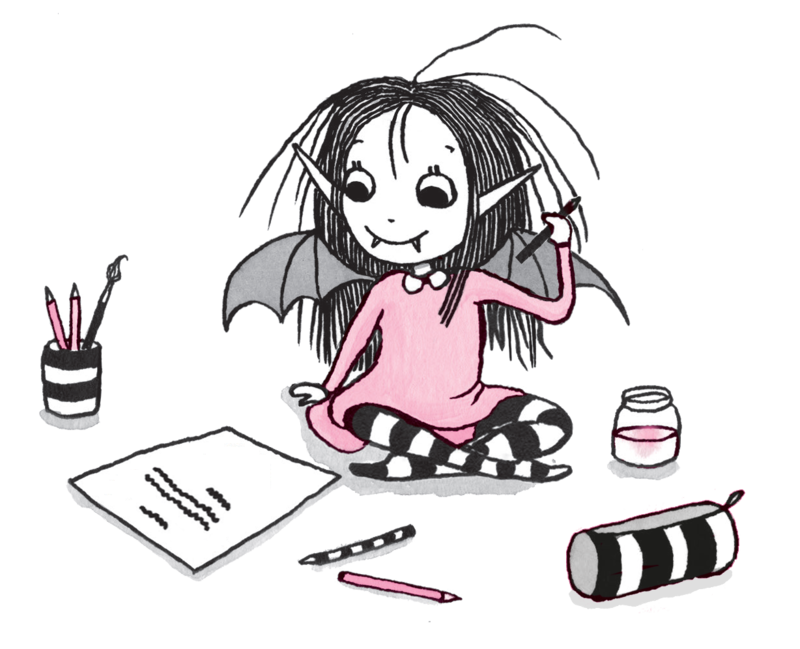 I think any child old enough to enjoy Isadora Moon (about 6+) will be able to get something from the writing guide, with adult support. Older or more confident children may be able to work through the writing guide independently. What I envisage and hope for this guide is that it is something parents (or teachers) and children can work on together as a project over several days. I certainly don’t think it can be done in one sitting! If you’re looking for a shorter storytelling activity, then the story dice at the end of the guide may be just the thing. As they can be used independently of the writing guide, I made a separate sheet for them. This separate sheet has some optional suggestions about the different characters depicted on the dice. You can download the separate story dice activity sheet here. Teachers can click on each picture to make it fill the screen. There are also home and back buttons for easy navigation. There are some teaching ideas included. These suggest short, medium, and long learning activities. You can download the standalone story dice sheet here and the teacher’s interactive PowerPoint here. I’ve also put up some other free school resources on this page. I’ll be adding more over time (and prettying up the page) so check back every now and then. If you do use the dice or writing guide successfully in your school, I’d love to hear from you. You can message me on Facebook or use my contact page. I would love to hear any stories you create with the writing guide. Tell me about them through my contact page or Facebook. If you’re looking for another activity, then you can also try making your own Isadora Moon Mini Books.